Google Plus – Invites available via BharatBeat! Do you want an absolutely FRE invite to Google Plus? As many of Dad’s readers know, Dad’s Taxi and BharatBeat.com continue to be partners and we are working to establish a global community for our friends. 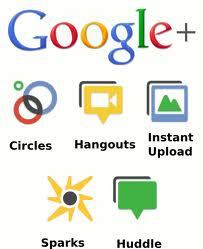 Today, we are introducing for a limited time FREE INVITES to Google Plus. We are not selling anything nor is there any obligation for you purchase anything. We are just trying to give back to our community! You don’t have to buy anything, and your information will always be kept private. Follow the directions below or go to the facebook page for and BharatBeat as we introduce to our friends the new world of Google Plus! After a very long time, Google has created a big buzz by releasing its own version of Social media called Google Plus or Google+. As of now it is in test phase and access is limited only to invites by members (like they did when Gmail came in). Once you complete the steps above, the BharatBeat Team will send you the invite to Google Plus ASAP. In the email that you send us, make sure that you include the screen name which you used to post a message in this thread. If we cant match or find the screen name to the registered email, then we wont be able to send an invite. Post a small reply to this thread (even a thanks would be fine). If you are not a registered member of BharatBeat forums click on Register button on the top of the forums page. For example – if you sign in to this forum using a name called “email” then include that name in the email so that we can verify that you posted a message.It might take couple of days to get the invite because we have to send bulk invites. So please be patient.